If you have ever had a sore throat, especially a bad one, I am sure that you have really tried different methods to get rid of sore throat. There is not anything that is quite as painful and disrupting to your daily activities as a very bad sore throat. The pain and discomfort can make it difficult to eat, speak and sometimes even breathe. Many times it can start as a little scratchy discomfort and over the course of a day or two it gradually escalates into a very painful situation. Sore throat is an inflammation or swelling of the membranes that line the pharynx.It is also known by the term pharyngitis. It usually occurs when a person suffers from common cold. Very few of the sore throats are caused by bacteria.Streptococcus is the bacteria causing sore throat. 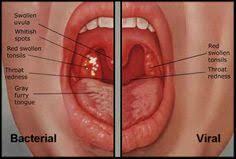 This type of throat infection causing inflammation in the throat meninges is called as strep throat. Environmental factors and lifestyle conditions can also cause sore throat. If you are a passive smoker, active smoker or are breathing polluted air, then you are more likely to suffer from soreness in throat. If you are exposed to chemical fumes or swallow substances that irritate the lining of the throat, then it can also lead to pharyngitis. Sometimes you may just wake up one morning with a very sore throat. But most of the time the condition gradually worsens over 2 or 3 days time. It may start with a little itchy or scratchy sensation one morning when you first get out of bed. It may or may not be accompanied by some sort of coughing. As the day progresses, it can grow worse. It may begin to feel swollen, and then later on end up being very painful. It can be too painful to speak or to eat and your voice may be hoarse. If you hadn’t already been looking for some relief this is when you are seriously beginning to ask about how to get rid of sore throat. When the pain gets unbearable take some sort of over the counter pain medications. Ibuprofen can help relieve swelling and pain that are associated with these types of problems. These do not necessarily speed up the healing, but they do help to relieve the pain so that you can function and perhaps eat throughout the day. It’s a good idea to take a dose before retiring at night also to help you be able to sleep. Resting is an essential part of helping the body to heal. Most of the time drinking warm liquids can offer at least a little bit of temporary relief. Of course this will depend on the severity of the symptoms. Sometimes if it is severe enough absolutely nothing seems to bring any relief. But most of the time the common sore throat is not considered severe and can be gently soothed by sipping on some warm liquids. Make sure that they are not too hot you only want them to be warm. There are several different drinks that might help soothe or bring healing to the area to get rid of sore throat. Certain teas can have a healing effect. For instance Echinacea can be somewhat soothing but also has been known to have positive effects on the immune system. Other teas are good too like ginger or cayenne pepper. Drinking bullion or broth can be very soothing and the high salt content can be beneficial and help with healing the throat area. There are tons of cough drops that help get rid of a sore throat too. Most of the time, they can bring some temporary relief just from coating the burning, itchy area. There are some varieties that have vitamin C which can also help to add a little boost the immune system so that the painfulness can be minimized. Cough drops that contain zinc are an excellent choice too. Zinc reportedly is very good for building up the immune system. Some researchers have said that the properties of zinc make colds and sore throats a much shorter experience. Drops that contain menthol are not a bad choice either as menthol has natural anesthetic properties as well. There are also a variety of throat sprays that can help deaden the area and stop the pain immediately. These will wear off rather quickly, but they do offer temporary relief. Keeping a bottle of antiseptic spray on the bedside table can offer relief if the pain, burning or discomfort wakes you up in the middle of the night. Usually, it can bring enough relief to get right back to sleep. As with any minor illness such as a sore throat you will want to consume a lot of liquids. You need the extra liquid to help the body wash all the impurities out of your body. It will not matter what form you take them in just drink as much as you can. The body needs to be able to flush itself out so it can get rid of whatever is causing the painful situation. There are several drinks that are very beneficial to help keep your body hydrated. Drinks that contain caffeine are not recommended but drinking coffee or colas are not the best, but they are certainly better than nothing. Various types of teas or juices are preferable. Water can always be a good choice too. If it is very painful you may try heating it up a little so that it is warm. Gargling can help to bring both relief and healing to the affected areas of the throat. One of the most popular solutions is to simply mix some water and salt together. Gargling with warm salt water has been a common home remedy for years. The warmth helps the area feel better and the salt helps speed healing in the area. There are some other items that you can use with water to make a good gargling mixture. Apple cider vinegar mixed with water is just one of the choices that can help alleviate the discomfort and get rid of sore throat. Generally, a sore throat is not a serious condition. It is spread by bacteria or can be caused by a virus. It will usually run its course in a couple of days. Using these suggestions on how to get rid of sore throat discomfort can help bring relief as well as speed healing. If the condition is accompanied by a very high fever, or it does not go away after just a few days it is a good idea to speak to your physician to rule out more serious underlying conditions. It is also good to speak with them to make sure it does not worsen and cause more serious complications.